Everyday Office Supplies: We Rock...Paper, Scissors & More! Once upon a time, Kalyn Carter truly believed she’d found her dream job! She knew that she was absolutely meant to be an HR assistant with a fashion retailer that’s a household name in Canada and around the world. Why? She loved clothes and shopping and was going to make the most of her degree in business administration and HR. Her career seemed to be on the right track until she was asked to order her entire department’s office supplies from one of Canada’s largest providers. No big deal! After all, she was the newbie and she knew the industry intimately because her father had worked in the office supply industry his entire life. Shortly after taking on the ordering, she noticed the 70 percent discount offered by the supplier. Kalyn explained it wasn’t that beneficial in view of the 300 percent mark-up and suggested they find a better way to save. When no one wanted to listen to her or dig a little deeper – Kalyn quit! Today, Kalyn is the brainpower and driving force behind Everyday Office Supplies because she gets to shake things up enough to get results. It might lead to driving all over the GTA to find the specialty coffee her client’s staff simply can’t live without. It may even be saving an admin assistant’s job by finding the only refill that fits her boss’s very rare $1,000 pen. While those frequent and challenging requests keep things interesting. Kalyn’s clients most value her ability to find a better way every time. When a new client bemoaned the time she spent struggling with the outdated, unwieldy Excel spreadsheet she used to manage the 500 items she most frequently ordered, Kalyn stepped up. She created an online “Favorites List” complete with the correct codes and accurate descriptions. Her client was ecstatic – the ability to click to order saves her at least 5 hours every week. 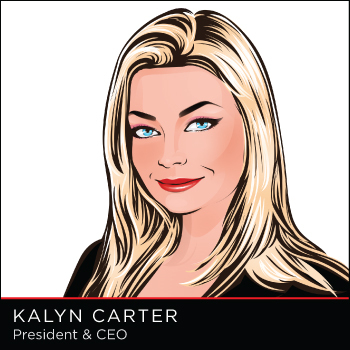 What do clients love most about Kalyn and Everyday Office Supplies? “The results they get due to my commonsense, practical streak and deep belief that there is ALWAYS a better way”.